framed by the branches & vines of Hollywood’s most unique space, Mystic Water Kava Bar. 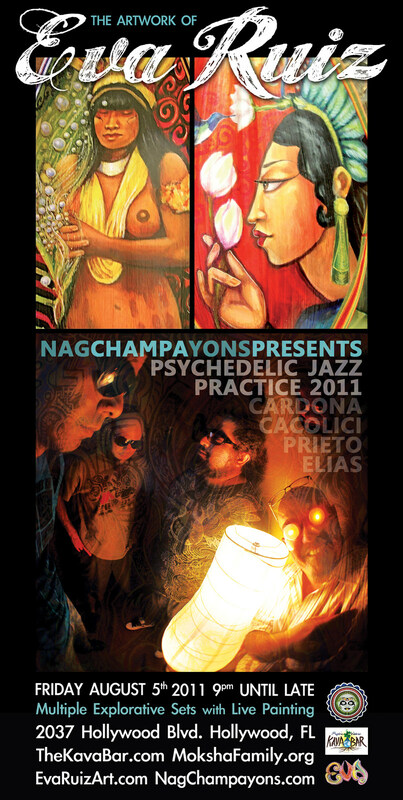 of the improvisational summer series “Psychedelic Jazz Practice”. There will be multiple exploratory sets accompanied by EVA RUIZ & ANYA NADAL painting live. this will be a spectacle not to be missed.